If eliminating performance reviews is trending, then organisations really need to upskill their leaders quickly on how to have effective and honest conversations! A few weeks ago the CEOs of NAB, Deloitte Accenture and Google announced that they would be eliminating performance reviews to facilitate a different way of building accountability. For some executives, performance reviews have circumvented the need to have one-on-one conversations at regular periods during the year. Some managers hide behind performance reviews to avoid any form of confrontation, preferring to bunch reviews together like some form of manufacturing process line. Managers need to be taught the skills of interaction and basic coaching skills. The worse-case scenario is that some managers are so concerned about their own performance, or lack of it, that they are simply incapable of leading. We have all at various times loved them and loathed them. Done well, they can be motivating and career enhancing; done badly and the process can end in tears or worse! In many organisations the performance review process has lost its way – often becoming known for promotion and compensation conversations and a tool for internal politics rather than for driving the development of talent that can support holistic, organisational performance. The fact that major organisations are now dropping what has been a universally instituted review for decades speaks volumes about the failings of this performance mechanism to deliver what organisations need from their talent. 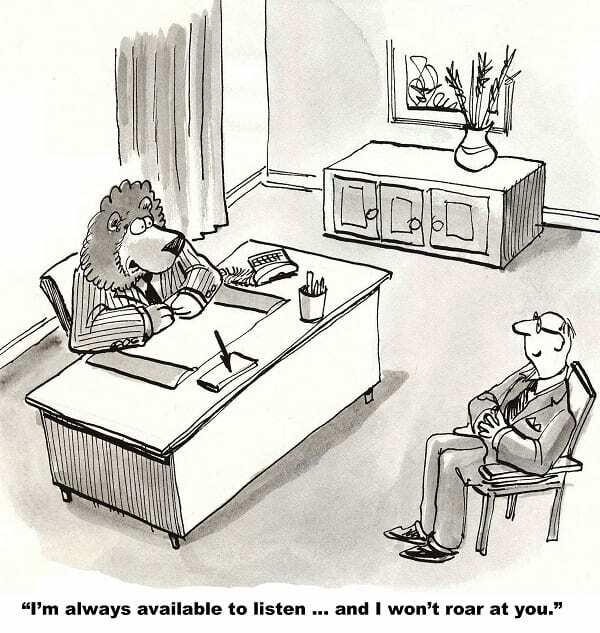 So what do CEOs really want from their people? CEOs want high-level performance to achieve results aligned to strategy. They want high performing cultures that attract and retain talent. The simple fact is that a periodic review is unlikely to deliver this impact! So what does? Creating an organisational culture where people hold themselves and each other to account. And at the interpersonal level, these elements require self-awareness and high levels of EQ and interpersonal effectiveness. The bottom line is that leaders need to engage with these ingredients at every opportunity – in the way they talk and behave. The periodic performance review needs to transform into the everyday leadership conversations. However this is not easy to achieve. Stephenson Mansell Group (SMG) often observes in organisations a lack of careful thought and consideration in interpersonal dealings. This lack of basic engagement torpedoes the foundation for high performance which is predicated on the capacity for people to engage in direct, honest and effective conversations. In brief, these are all about self-efficacy to enable robust communication and conversations in a 360-degree sense for high performance. If we accept that meeting KPIs is the ticket to entry, what is going to make the difference is interpersonal acuity and the capacity to have robust and authentic conversations for relationship, feedback, making requests, holding people to account for commitments and more. 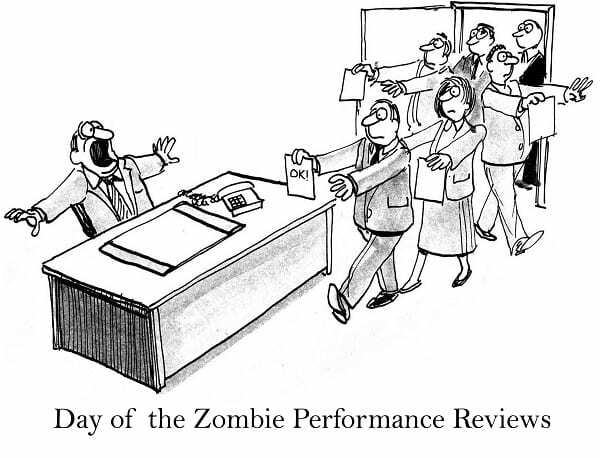 Perhaps the curtain is drawing on traditional performance reviews and the time has come to look at performance in a different way. Our research points out that without building the capability for real conversations throughout the organisation, attempts at substituting some other process to build high performance is flawed. 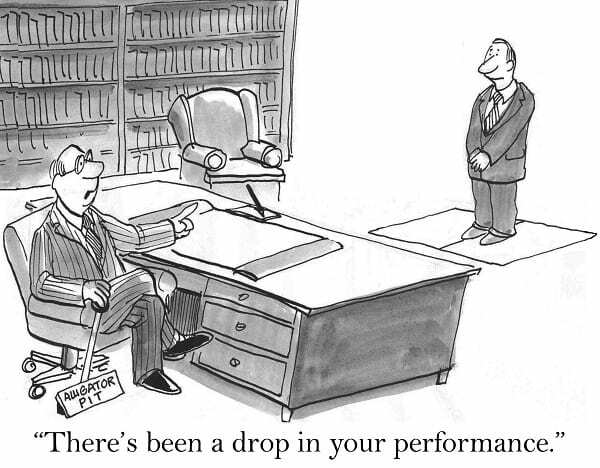 What is your experience with performance reviews and how they are working? >Have you tried a more informal structure to check in on how people are going? i.e. a quarterly check in on where they are at with their objectives… behind, on target etc. How effective would you rate yourself to have a constructive conversation, listening deeply and asking reflective questions? What would help you to build this competence and confidence? How good are you at letting go and building trust and empathy with your peer group and direct reports to hold each other accountable? As a leader, how do you try to influence and role model honest and open conversations? What can you personally do to influence the behaviour you want to encourage? Develop a habit of staying tuned in to how your direct reports are managing and coping with their work loads. Show empathy, coaching support and guidance – informally and regularly. Build strong relationships so you can have constructive conversations, give feedback openly and align your key messages. Seek feedback on your own style from others. Listen, ask for examples and then share your reaction and responses to the feedback. Through our experience rolling out major, whole-of-company culture change programs, we know that regular performance conversations are critical to driving desired organisational change. Indeed, we see the future of talent-performance becoming more intrinsically tied to enterprise-wide culture change strategies. 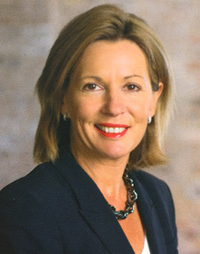 We see a talent-performance approach that is founded on building the capability for continuous and powerful, coaching-centric conversations, delivering the form of talent-performance impact that traditional, periodic performance reviews have more often than not failed to deliver for organisations. Stay tuned, we may be seeing the start of a revolution in the way companies engage with and rate their talent.